The Black Dragon Japanese Cedar is a dramatic, upright plant with dark foliage and swirling branches that will rear up in your garden just like the dragon of its name. It grows into a small tree perhaps eventually 10 feet tall and 5 feet across, but it can easily be kept smaller if needed. It brings a touch of drama to any garden, but it is especially useful in Asian-themed gardens, where a little pruning can heighten the exotic nature of this plant even more. Plant it in combination with other Asian plants, like Japanese Maples, for an easy Asian-style garden, or plant it as an unusual and eye-catching specimen in any garden at all. It grows easily in any region with good rainfall and is hardy right into zone 5. 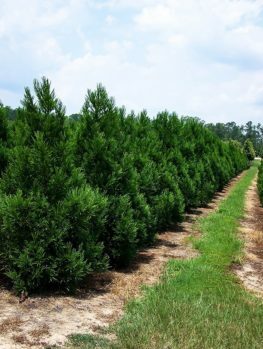 Plant your Black Dragon Japanese Cedar in a sunny or lightly-shaded location, in any well-drained soil. Although mature plants will tolerate some drought, this plant does best with regular watering. 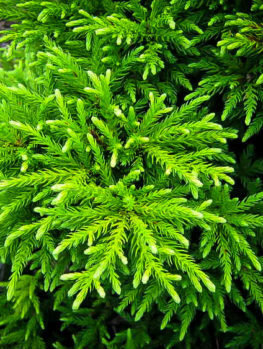 Unlike other types of Japanese cedar, it will not turn brown in winter, but instead it retains its deep black-green foliage throughout the colder months. 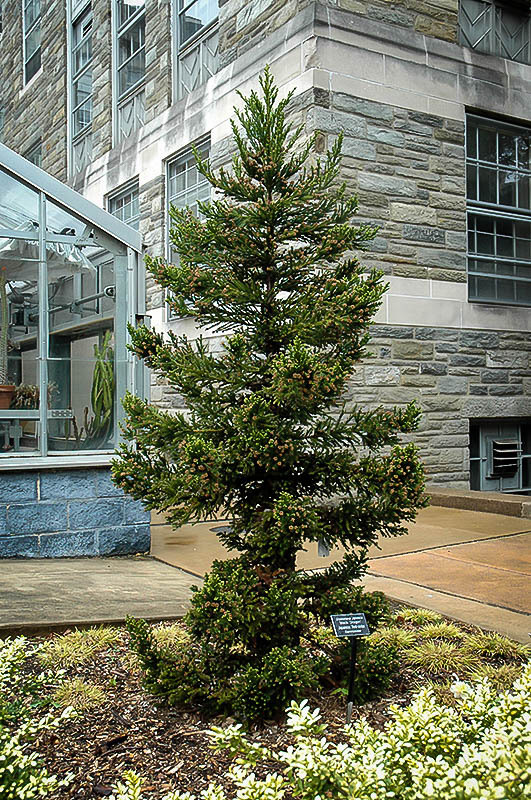 Dwarf evergreens are essential parts of every garden, but some are grown so often they begin to lose their interest. 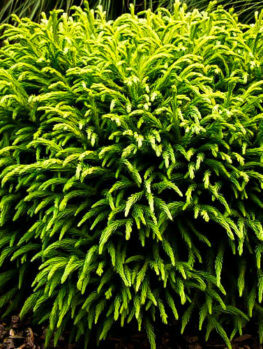 So when planting the foundations of your garden and putting in evergreens, it is always a good idea to choose something that is both reliable and attractive, but which is not seen in every garden. The Black Dragon Japanese Cedar fits that description perfectly. This is a tough, reliable plant that will grow to about 10 feet tall in time, with a spread of about 4 feet or perhaps a little more. Its foliage turns a beautiful rich black-green in winter, looking beautiful throughout that dreary season, and especially striking against freshly-fallen snow. 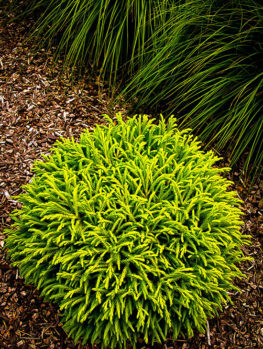 Your tree will be rich green in summer and make the perfect backdrop to the bright colors of flowering shrubs and trees. The Black Dragon Japanese Cedar has an upright form, but with irregular side branches that are almost horizontal, and swirl up at the tips. As your tree matures, the branches fill in and the tree becomes denser, more upright and broader. In time the tree will reach around 10 feet tall, or even taller under ideal conditions, with a width about half its height. The needles are broad and stick out from the branches, giving a stiff feel to the tree and created an interesting ‘mood’. New foliage is bright green and it slowly matures to darker shades, so that by mid-winter the tree appears almost black, which is of course where its name comes from. When young this tree has an open form, and every example is unique. Some trees show more bark than other, and since the reddish, peeling bark is an attractive feature, more can be exposed by selective pruning of branches. With its twisting habit and swirling branches it really does look liking a rearing dragon and this effect can be increased with staking and pruning. It is also possible to produce a beautiful bonsai tree from this plant. 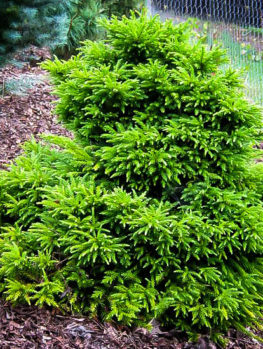 When planting your Black Dragon Japanese Cedar, choose either a sunny spot or one with a little dappled shade. It looks lovely combined with one of our extensive range of Japanese Maple Trees, producing a classic oriental combination. Plant it in an open spot where its beauty can be really appreciated, although an exotic low screen could also be made from of row of these intriguing plants. It also makes something very different to plant in the ground or in large pots on either side of an entrance way. 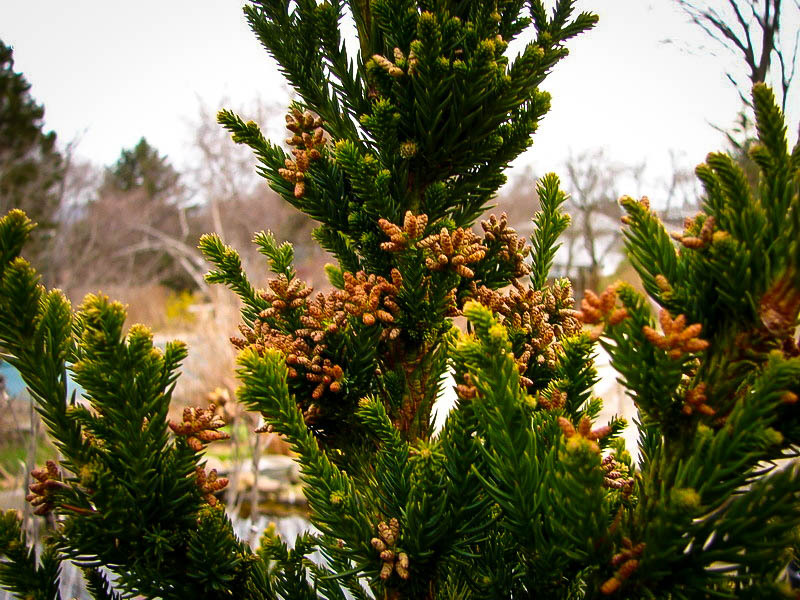 Japanese cedar will grow in most soils that are not permanently wet, and it grows best in soil that is not dry. Add plenty of organic material while planting, and mulch each spring. Do not let your tree become dry, especially during the first season or two, while its roots spread and establish the tree. Although this plant requires no pruning, you may choose to remove some branches as it grows to retain its ‘Dragon’ habit, as older trees naturally become fuller and denser in form. It has no significant pests and diseases and is generally not bothered by deer. 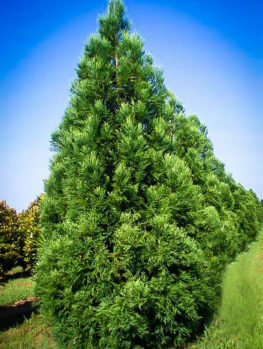 Over the years your Black Dragon Japanese Cedar will become a great feature in your garden, no matter what style of landscape you have, and this tree is a real asset in any garden. 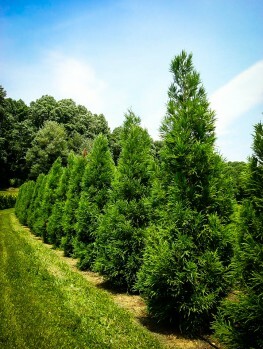 Japanese cedar (Cryptomeria japonica) is a tall forest tree native to Japan that can grow over 200 feet tall. 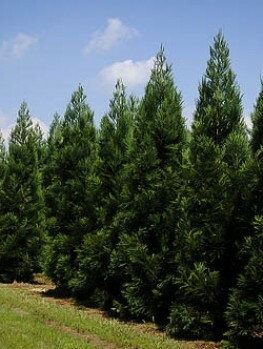 In its natural form it is grown mainly as a lumber tree and the aromatic, light wood is highly prized. Because it has been cultivated for centuries many variations have been collected, giving us a wide range of sizes and forms of this beautiful tree. Of all these forms, ‘Black Dragon’ has a unique character that makes it very special. Its exact origins are not recorded, but it was certainly known by the early 1990’s. Many varieties of Japanese cedar are simply dwarf, rounded forms, but the Black Dragon Japanese Cedar has a lot of character and a dramatic form that makes it especially suitable for Asian-themed plantings. 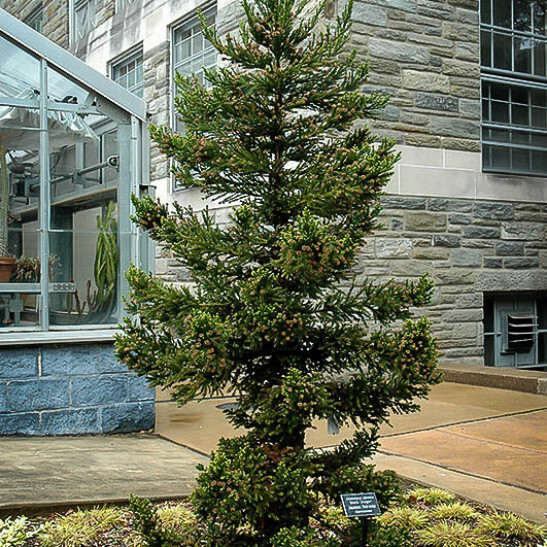 Because of its special characteristics, this tree cannot be grown from seed, but must be reproduced from carefully-selected stem pieces taken from correctly-identified parent plants. 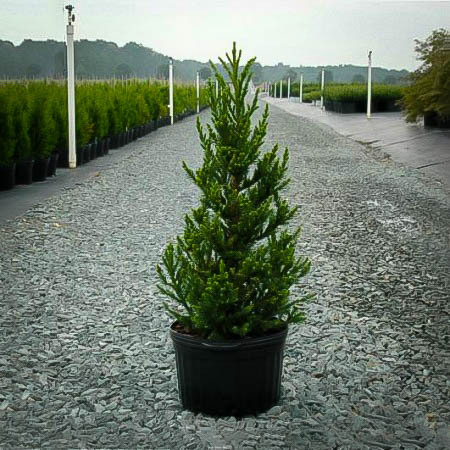 Cheap seedling Japanese cedars will have no resemblance at all the Black Dragon and they will simply grow into a large tree.